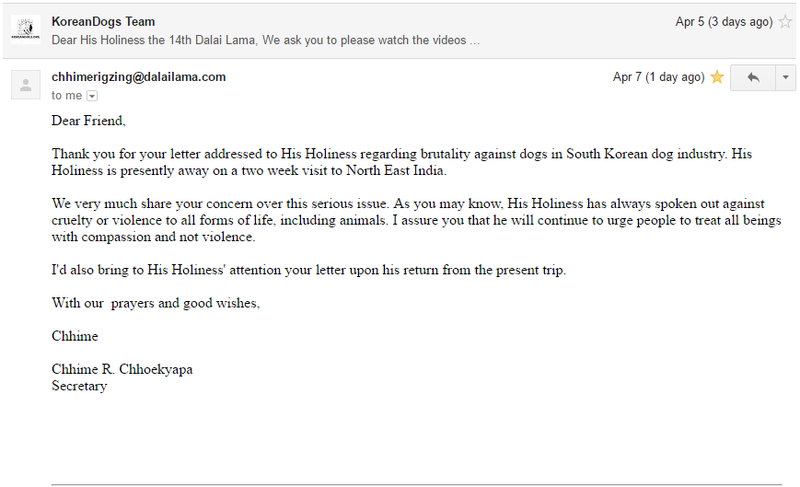 We had received the below response from Mr. Chhime R. Chhoekyapa, the secretary to His Holiness The Dalai Lama, on April 7, 2017, only 3 days after we had sent him our petition via email. Thank you, Mr. Chhime R. Chhoekyapa for your quick and supportive response. 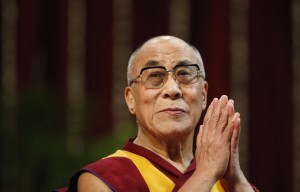 We look forward to His Holiness’s return from his trip and to his help in speaking out against the horrendous cruelty of dog meat trade in South Korea as well as other dog eating Asian countries. Click HERE for our campaign and take action.